A possible broken deal amounts to “a real blow” to Mueller, because he's lost a cooperating witness and any past information Manafort passed could now be severely weakened. Robert Mueller's allegations that Paul Manafort broke his plea agreement by lying to investigators could bring significant challenges to both the special counsel and President Trump's one-time campaign chairman. The exact nature of Manafort alleged transgressions were not immediately disclosed but prosecutors said that he lied "to the Federal Bureau of Investigation and the Special Counsel's Office on a variety of subject matters, which constitute breaches of the agreement." Manafort was convicted in an Alexandria, Virginia, federal court in August on eight counts of tax fraud, bank fraud and hiding foreign bank accounts. Then under a Sept. 14 plea bargain to cooperate with prosecutors, Manafort was looking to get far less than the maximum 10 years in prison he now could face. This latest legal upheaval has serious, potential implications to all concerned. Mueller now has no obligation to tell the judge how helpful Manafort might have been. Also, the agreement signed by Manafort locked him into his guilty pleas and financial forfeitures which includes his house in the Hamptons and apartments in New York City. The agreement specifically states that federal prosecutors can ask for “an upward departure” in their sentencing request meaning that they can ask for more jail time than what he plead to for his admitted criminal conduct. He’d been looking at less than the 10 maximum years behind bars for the Alexandria, Virginia case. Manafort, under terms of his deal, agreed not to appeal the sentences in the Alexandria or District of Columbia case where he'd pleaded guilty to one count of conspiracy against and one count of conspiracy to obstruct justice by tampering with witnesses. Manafort’s alleged plea agreement breach also opens him up to being retried for 10 counts that the Alexandria jury was deadlocked on this summer. 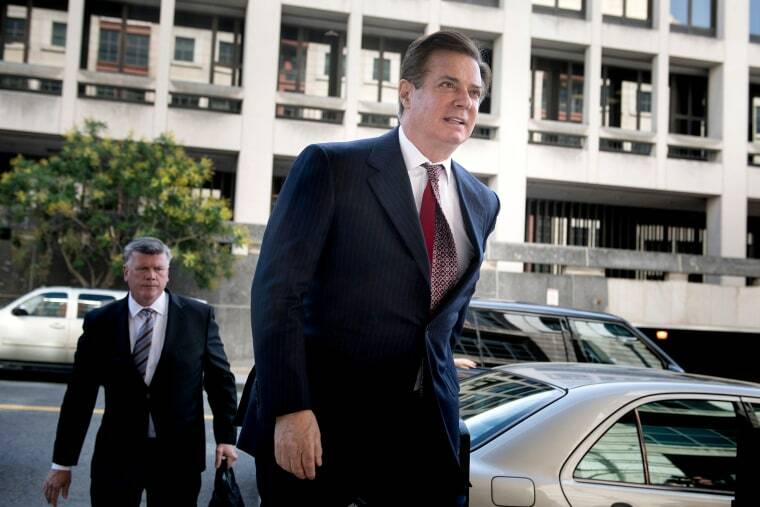 The judge in that case had previously dismissed those charges without prejudice, meaning they could be brought again, following Manafort’s guilty plea and cooperation agreement. Now Manafort could be retried and, worse for him, have the jury told that he’s admitted to committing those crimes. 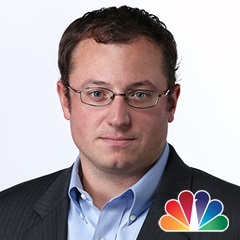 A possible broken deal amounts to “a real blow” to Mueller, because he's lost a cooperating witness and any past information Manafort passed on is now severely weakened, MSNBC analyst and former federal prosecutor Daniel Goldman said. “It felt to many, including to me, that Paul Manafort would help Bob Mueller get to the bottom of whatever happened. And this is particularly relevant for people perhaps who didn’t use email, such as the president,” Goldman said. Manafort was not only Trump's campaign chair, he also ran the 2016 GOP convention, which quietly passed a Moscow-friendly plank. The RNC eliminated specific calls to provide arms to Ukraine in its fight and weakened language criticizing Russia for its treatment of Kiev. Manafort also sat in on the now-infamous Trump Tower meeting with a Russian lawyer. The meeting was attended by the president's son Donald Trump Jr,. his son-in-law Jared Kushner and Manafort. Any key information that Manafort might have delivered will now require additional backup. The latest developments have raised the specter that Manafort could be rolling the dice on White House relief. “There’s been a lot speculation already that he’s been dangled a pardon,” Goldman said. When President Trump’s attorney Rudy Giuliani was asked by NBC News on Tuesday about a possible pardon for Manafort, the former New York City mayor didn’t directly answer. A Trump pardon, however, would have no reach on potential state charges against Manafort. If prosecutors went after him in New York, Virginia or California — where Manafort has already admitted to defrauding banks and evading taxes — the former campaign chairman could be looking at significant prison time that couldn't be erased by presidential pardon.